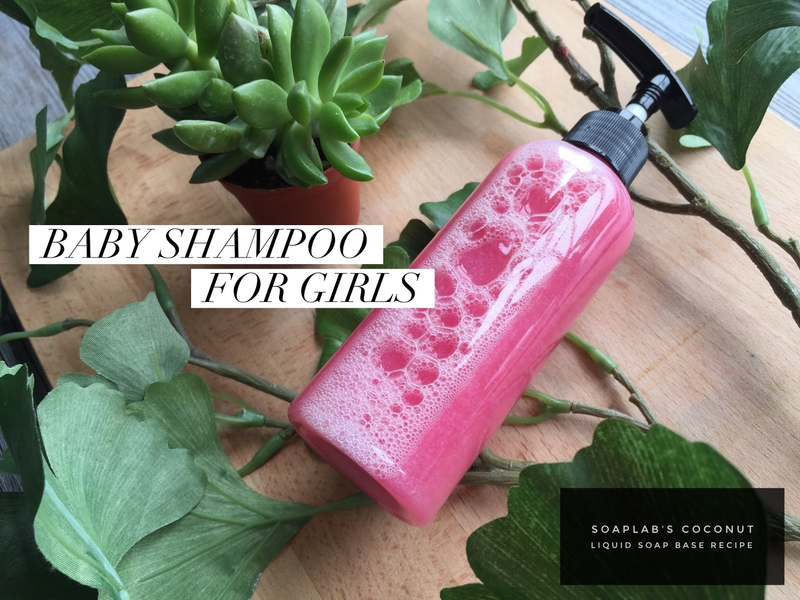 We use our coconut liquid soap base, formulated with a lot of care by SoapLab so you know that you are getting QUALITY! This liquid soap base is super mild and suitable for anyone really, from babies to those with skin conditions too. So no need to worry, your little one is getting the best care she could possibly have. Next, we use D-panthenol which is great for all skin types and even better if they have sensitive skin. It's super moisturizing and helps with eczema and regular skin dryness too. Since we also use coconut oil in this recipe, be prepared for your baby to have skin softer than you thought was possible!